This exercise is intended to increase strength and proprioception (balance) within the lower extremity. To increase proprioception and strength within the lower extremity. This will assist with increasing joint stability within the knee joint. Standing on the object with both feet. Hang your uninjured leg off of the side of the object. Make sure that the toes of your uninjured leg are raised. Throughout this exercise, you want to keep a straight line between your hip, knees, and toes. Slowly bend your injured knee until the heel of your uninjured leg touches the ground. Then straighten your injured knee until you return to your starting position. Rest for three to five seconds, and then repeat. Higher objects are harder, so you're going to want to start with shorter objects and work your way up. This exercise should only be performed within a pain free range of motion. 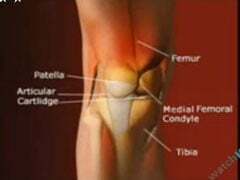 You should feel tension within your muscles but not sharp pain within your knee joint. Do not continue this exercise if there is pain, swelling or a significant increase in skin temperature (skin becomes hot/warm to the touch). The recommended repetitions are here to serve as guideline. Keep in mind that each person is different and you must modify your activity according to the feedback your body provides. Do not perform this exercise on a soft surface (i.e. bed) because it will not achieve the desired results. Do not use quick jerky movements with this exercise; it is intended to be performed in a slow and controlled motion. This exercise is recommended for intermediate stage rehabilitation of an injured or post-surgical knee. This exercise can also be included into a general fitness program to develop strength, increase joint stability and prevent injury.